For the first time, Rapha has developed two new cycling shoe models entirely in-house for both road and adventure cyclists. 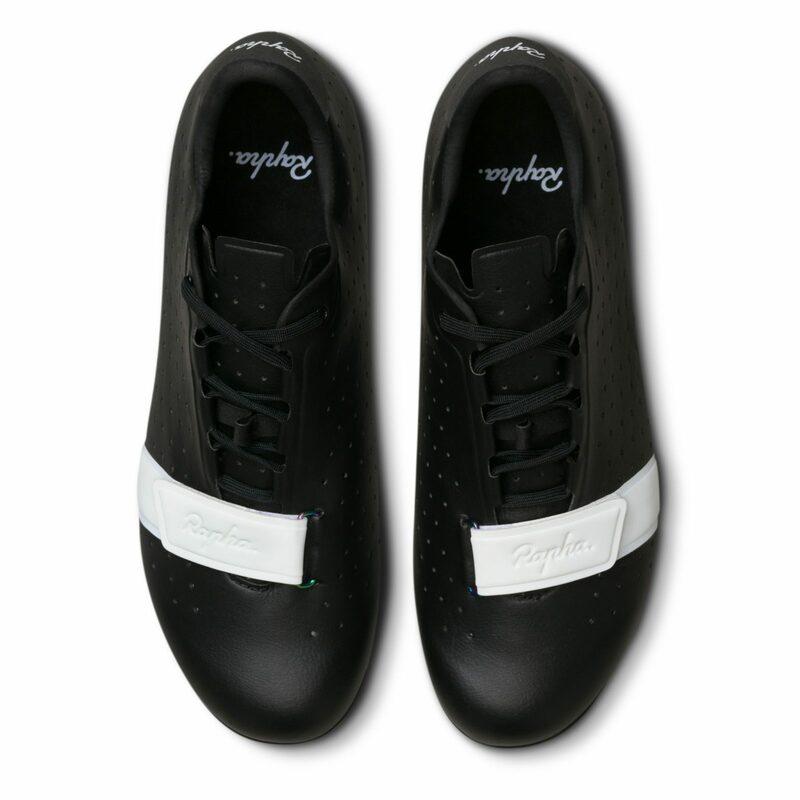 Over two years from sketch to shoe box, the new Classic and Explore models mark a step change for Rapha. They have been tested over tens of thousands of kilometers, on everything from trans-European bike-packing trips to club rides and by professional WorldTour riders such as Lachlan Morton of EF Education First Pro Cycling. Two new shoes, Explore and Classic – both of which were developed in tandem are designed to be the most comfortable cycling shoes. 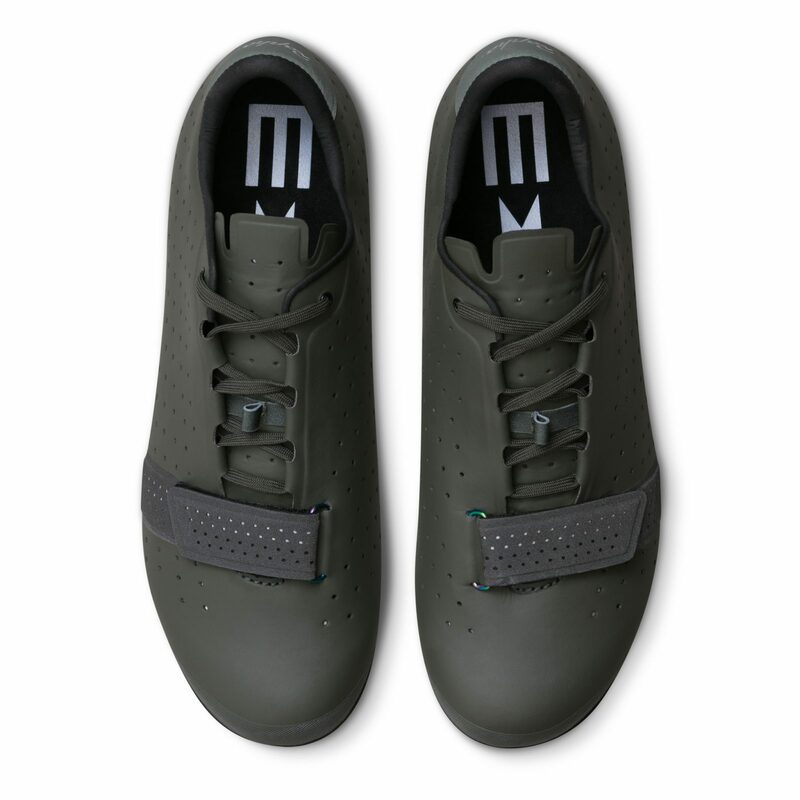 The Classic Shoe features a supremely durable anti-slip thermoplastic outsole and full length carbon plate making it stiff and hard-wearing. 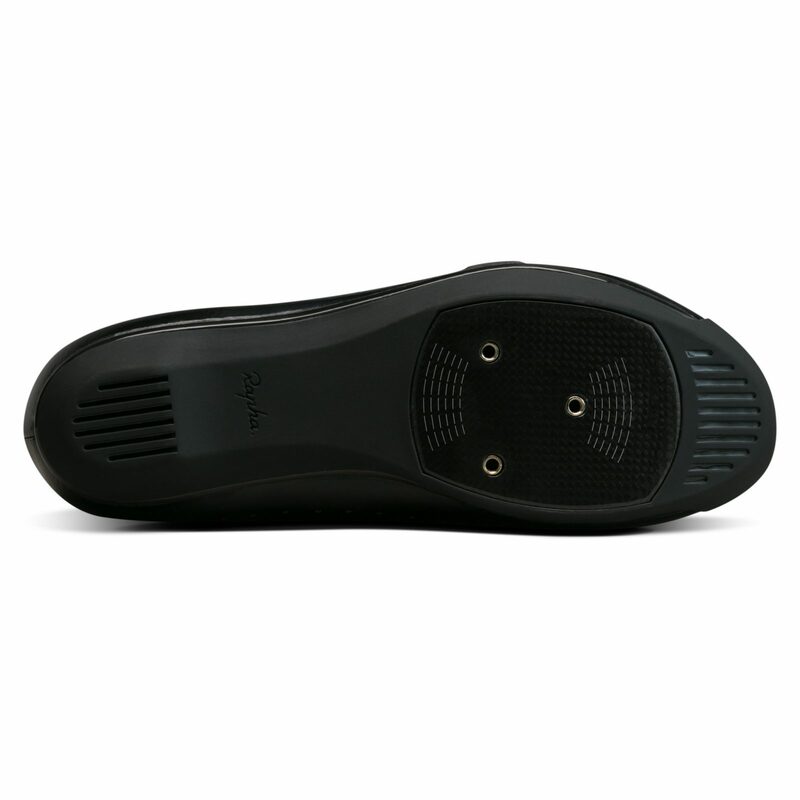 The Explore Shoe has a shortened carbon plate of approximately 3⁄4 of the sole length secured in a rubber outsole for walkable comfort and efficient power transfer. Both models incorporate a unique double-wall lacing system that delivers exceptional fit to the midfoot. 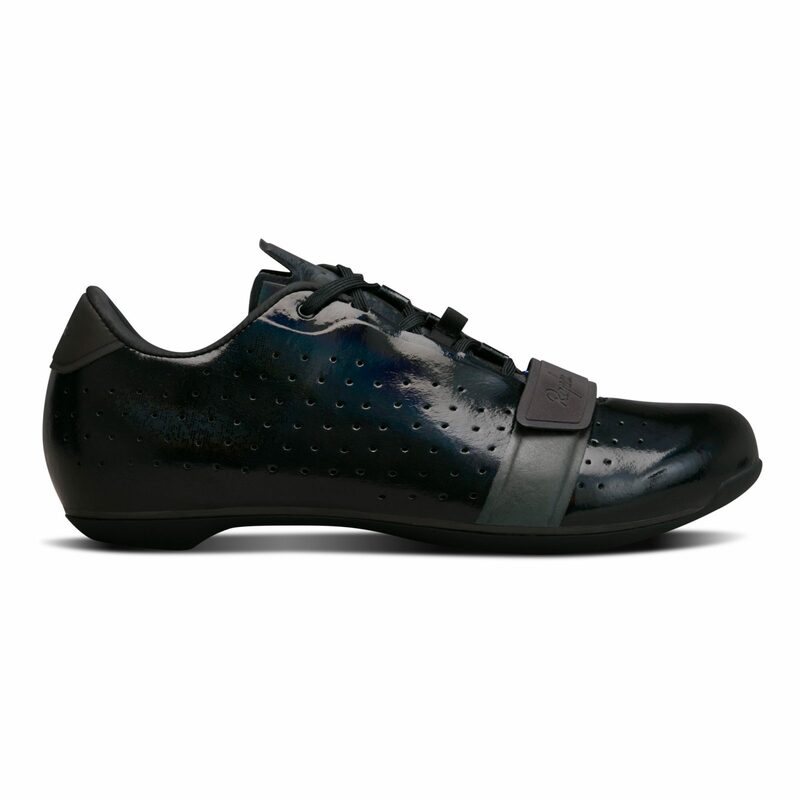 They also incorporate adjustable arch supports and the last is shaped to provide ample toe box volume for tremendous comfort even after hours in the saddle. After experimenting with an elastic pull closure system, lead designer Joël Salamin opted for traditional lace ups instead. A traditional set up at first glance, our lacing works in tandem with a double-walled midfoot and delivers the vanguard of shoe design. In creating the Classic Shoe we started with a familiar silhouette and redesigned everything else. We used a stiff full length carbon plate for efficient power transfer to the pedals and wrapped it in tough thermoplastic outsole to protect the carbon plate when off the bike. So durable and grippy is the TPU tread that it’ll ensure you remain surefooted not only on café stops but also forays off the beaten track and on to rougher terrain. We have also introduced a unique double-wall lacing system featuring durable eyelets integrated in the shoe’s upper and some robust laces. This lacing system distributes tensional forces from the laces over a larger area, eliminating pinch points. A low-cut upper eliminates risk of rubbing around the ankle, and a close-fitting heel cup keeps the shoe securely in place. The one-piece upper is made from a seamless, perforated microfibre and finished with the trademark Rapha stripe that allows you to micro adjust toe box volume to your preference. 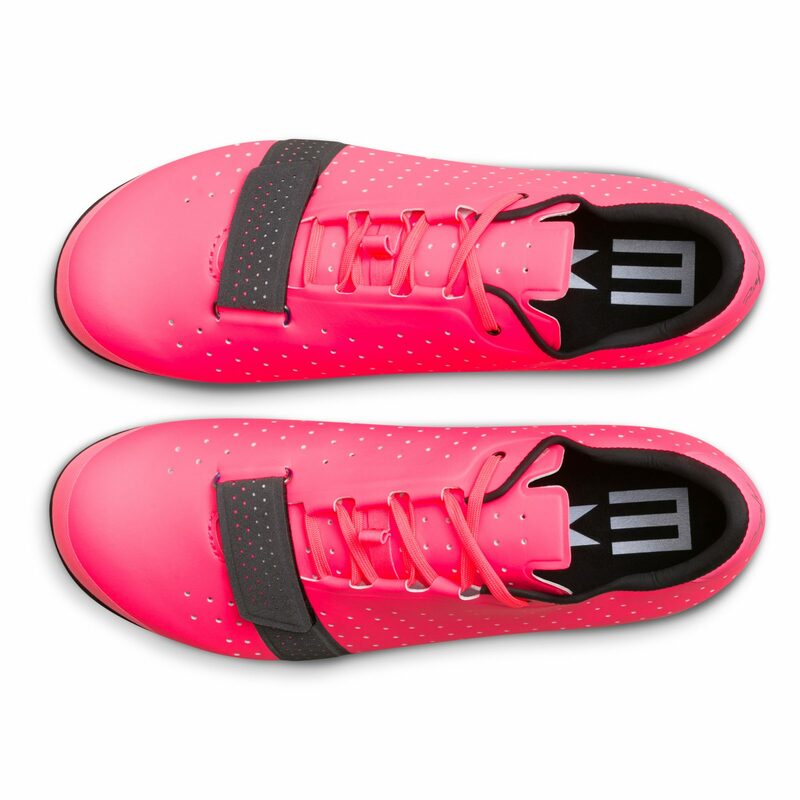 The Classic Shoe has been designed from the sole up to be the most comfortable choice for road cycling and is available in five colorways: White, Black, Black Pearl, High Vis Pink and an RCC version. Sizes range from 36-48 including half sizes. Many off-road shoes are merely adaptations of an existing road model, but the new Explore Shoe has been purpose-built to stand up to the most demanding terrain and conditions. 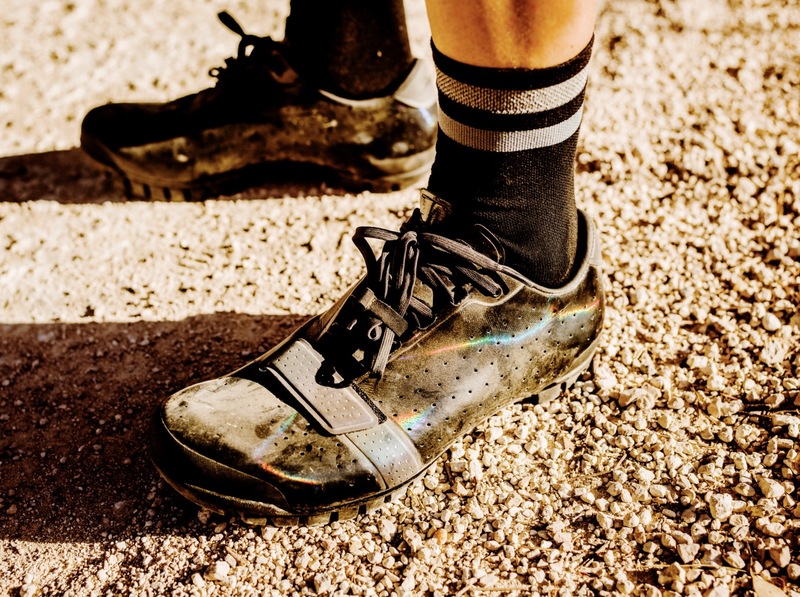 The shoe has been tested over 30,000km on bike-packing expeditions and ultra-endurance races, from Dolomite trails to the sands of the Sahara. 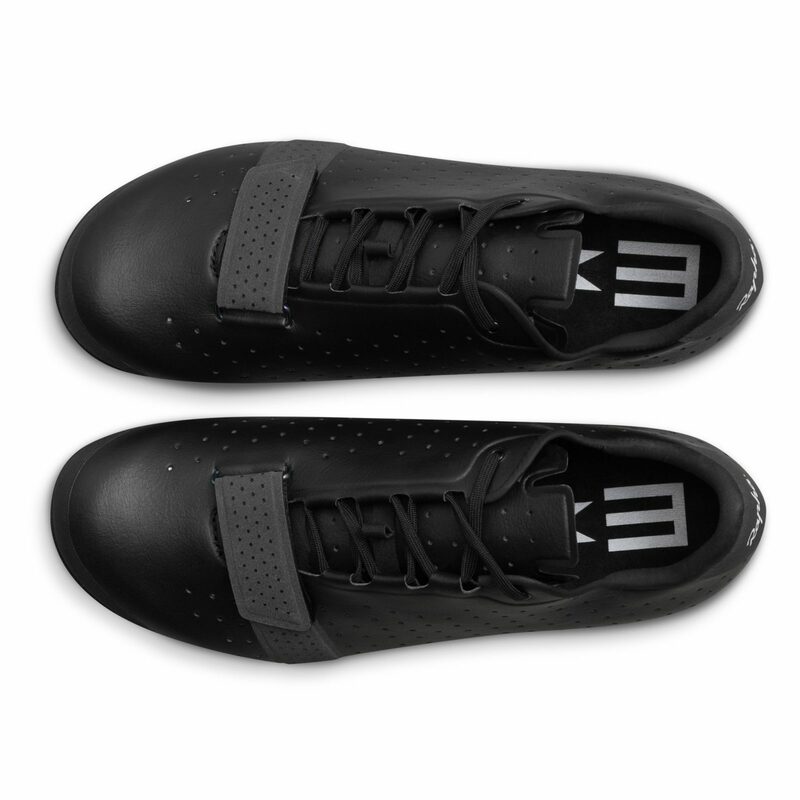 At the heart of the shoe’s lightweight and super stiff sole is a carbon plate worthy of any road shoe, with one key difference. The plate is cut at three centimeters from the heel and two centimeters from the toe to allow flex at the front and back of the foot for comfort when gradient or lack of grip means walking is the only option. It is then set into a rugged rubber tread that provides superb traction on any terrain with recessed cleats to reduce the chance of slipping. Together the two components of the Explore shoe’s sole ensure pedaling power in the saddle as well as comfort and grip if you’re forced to walk or want to explore by foot. Elsewhere, the Explore Shoe include some of the same features as the Classic Shoe. The sculpted heel cup secures the foot while a spacious toe box provides plenty of space, with a signature toe strap for micro which can also be used as an alternative way of securing the lace- ends. Adjustable arch support in the midsole accommodates a variety of foot shapes and the low- cut upper section avoids rubbing at the ankle. The unique double-wall lacing system is mirrored from the Classic Shoe, distributing tensional force equally, eliminating pinch points and creating a fit that is firm yet flexible. The Explore Shoe is available in four colour-ways: Black, Black Pearl, Dark Green and High Vis Pink. Sizes range from 36-48 including half sizes.